Go to Upstairs at the White House for more on the personal lives of our presidents and their families. As a young man I was inspired by J. B. West's colorful account of life in the private, family quarters of the White House. Never did I imagine that I would one day be working for a president. This website is dedicated to the memory of Mr. West and all who have worked at the nation's First Home. At this website my team and I track the lives of the most powerful families in the world - the fathers, mothers, brothers, sisters and children of the American presidents. We tap more than 850 sources, including interviews with 6 presidential families and 19 presidential children. 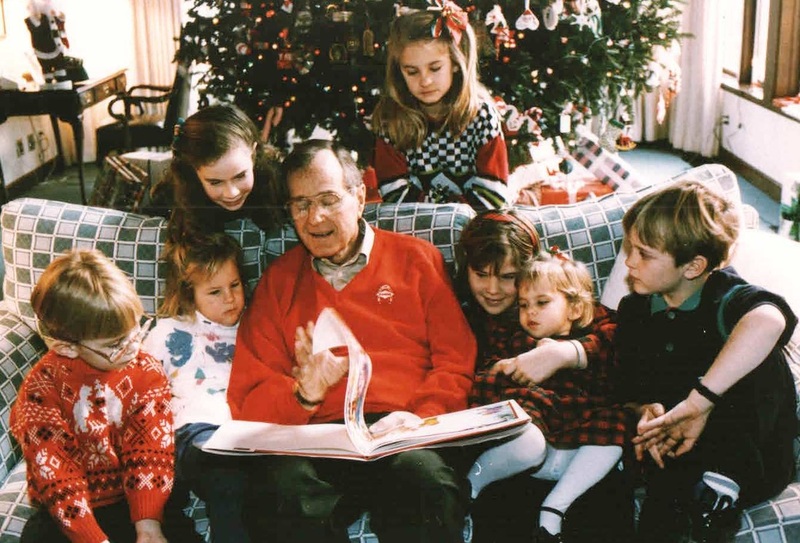 President George H. W. Bush and his grandkids.